CTET/TET (Elementary) qualified candidates with at least 50% marks in Senior/ Higher Secondary will be eligible for apply for the post of Assistant Teacher of Lower Primary Level and CTET/ TET (eLEMENTARY) qualified candidates with Graduation will be eligible for applying for the post of Assistant Teacher of Lower Primary Level. CTET/TET (Elementary) qualified candidates with at least 50% marks in Graduation will be eligible for applying for the post of Assistant Teacher of Upper Primary Level. A candidate must be not less than 18 years of age and not more than 43 years of age as on 1st January,2017. Relaxation of upper age limit will be applicable for SC, ST (P), ST (H) & PH candidates for another 5 years. 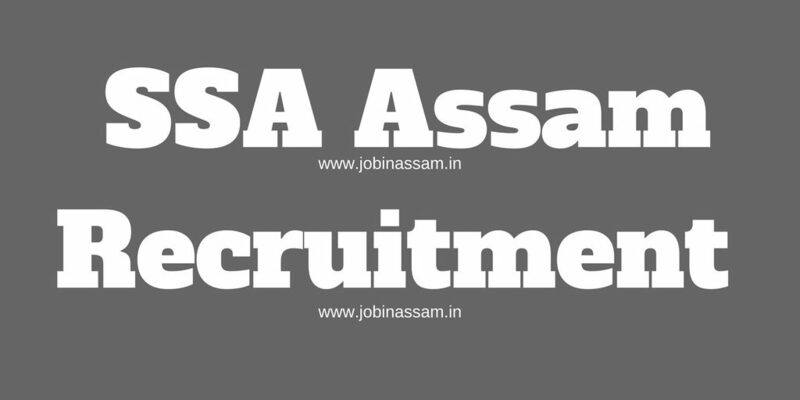 The eligible candidates shall apply online in the website www.ssaassam.gov.in from 10 AM of 03/07/2017 to midnight of 15/07/2017. No offline application will be received. The online application and documents submitted by the candidates will be verified along with their original testimonials, in the respective Districts by the District Level Screening & Verification Committee. The District-wise detailed schedule of verification of documents will be notified in the Notice Board of the Office of the District Mission Co-ordinator (SSA) concerned. No TA/DA is admissible for appearing in the verification process. Note: The District level verification will be held in the respective districts ( District Mission Office of SSA) from 20.07.2017 to 31.07.2017. In case of candidates applied in the district of Biswanath, Charaideu, Hojai, Majuli, South Salmara, they will have to verify their documents in the District Mission Office of SSA, Sonitpur, Sivsagar, Nagaon, Jorhat, Dhubri respectively. 1. In case of differently able (PH) candidates, only Orthopedically Handicapped candidates may apply. 2.The Contractual teachers will get all facilities including leave & other allowances as per Government norms. 4. The procedure of selection shall be as per Government rules. Marks obtained by the candidates in TET/CTET, academic qualification, professional qualification and excellence at NCC (B or C certificate), Sports (participation in recognized sports at National Level representing Assam), Fine Arts and Cultural activities (representing the State officially at National Level) will be taken into consideration for preparing the district wise select list. There will be provision of mark (as per norms) for NCTE recognized professional qualification (priority) as per clause 1. (iii) of the Notification vide F. No. 18-1/2015-EE 4, dated. 13.04.2017. 5. The teachers who will be engaged through this advertisement under the relaxed qualification norms will have to acquire the minimum professional qualification specified in the NCTE notification within 31st March, 2019. 6. Incomplete/Defective/ Invalid application will be summarily rejected. 7. Candidate can apply only in one district mentioned above.